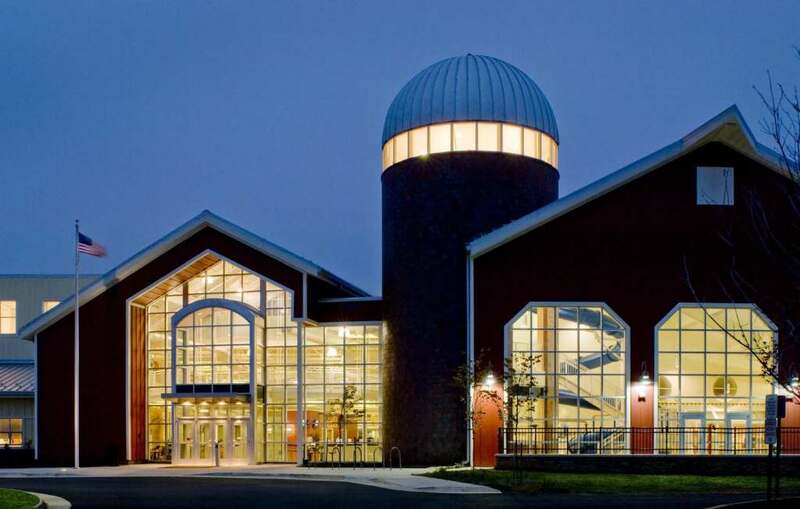 STERLING, Va. — The Claude Moore Park Recreation & Community Center in Loudoun County includes a fitness center, rock climbing wall, competition pool, leisure pool, giant water slide, hot tub spa, indoor jogging track, gymnasium, aerobics studio, and meeting areas. This past year, Loudoun County expanded the busy competition pool with a two-level 8,400 SF addition, providing an enhanced location for spectators to observe competition during team meets and practices. The expanded viewing area can accommodate 580 people and is fully ADA accessible. Moseley Architects led the expansion design effort, and Howard Shockey & Sons, Inc. served as the general contractor for the addition. Beyond the building expansion and the installation of permanent stadium seating for the competition pool, the project also included replacement and expansion of the HVAC and air evacuation systems for the pool area. 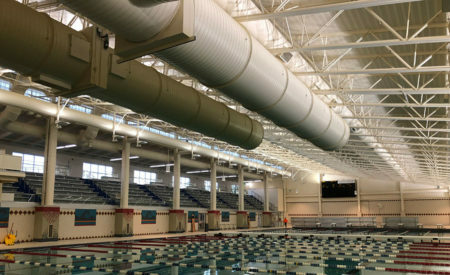 The success of the new exposed spiral ductwork for the competition pool was profiled in the January 2019 issue of Snips Magazine, a publication that covers the sheet metal industry. Pool areas have gone through various designs over the years. On this project, PVS spiral duct was used in the aquatic center areas due to its excellent recommendation for use in chlorine environments. The engineer was able to achieve the most energy efficient system available by using spiral. The contractor was able to receive long lengths of duct as opposed to rectangular duct. And the owner got durability as well as the aesthetically pleasing look of spiral duct.